Ah, the scent of marijuana. Weed has an unmistakable scent. As a smoker, who doesn’t love walking by a smoke session and catching a waft of delicious herb? However, that same glorious scent can linger around your house for awhile! So, if you’re looking to get that sweet smell out of your smoking quarters, you need to invest in an air purifier. 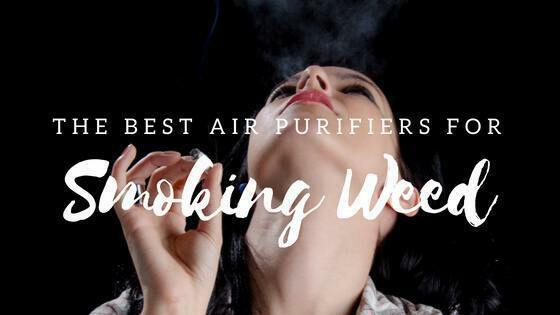 Keep reading to get a look at some of the best air purifiers for smoking weed there are. The fan mechanisms in air purifiers pull in air from the surrounding room and draw it through a filter. The filter removes airborne particles and pumps out fresh air through the other side. Smoke, whether it's from cannabis or cigarettes, is mostly just airborne particulate matter. These microscope pieces of burnt plant material are what makes the room smell so dank after a smoke session. If you use the room regularly to smoke weed, these smoke particles start to settle over everything. Especially soft fabrics, and carpets.With an air purifier, these particles filter out before they make themselves at home. The primary difference between one air purifier and the next comes down to its filtration system. The most basic purifiers don’t use anything fancy, just a filter made up of cotton, fiberglass or another dense fibrous material. The next step up is a HEPA filter.An electrostatic filter is one which collects airborne particulate matter through static electricity. Just like the surface of a charged up balloon collects dust, the same theory comes into play with an electrostatic filter. When air particles pass through the machine, the machine collects the dirt.Another style is the activated carbon filter. These are usually combined with another purifying filter, and focus more on odors and fumes than on particulate. Finally, UV light purifiers are technically filters, but they do remove harmful microorganisms from the air. Ultraviolet light, from the UVC spectrum, kills pathogens before they get a chance to do damage. A basic air purifying system doesn’t require an engineering degree to understand. The machine, using a fan based system, draws outside air into it. The air passes through a series of filters, designed to remove harmful particulate and odors. The fan then continues to blow the purified air out through the backend, and into your home. Air purifiers collect dust, allergens from pets, pollen, smoke, odors, and more. If you have a UV light air purifier, it will also collect any harmful bacteria, viruses, or fungus spores floating around your home. In most cases, filters require changing every few months.In the case of the UV light, they’ll need changing every year or so. Before running out and spending your hard earned dollars on a fancy air purifier, have you asked yourself what you are trying to purify? If you smoke a lot of weed inside, the required filtration system is going to be much different than the one you’d need if you just store a lot of fresh marijuana inside. As mentioned, smoke is small burnt particulate matter hanging in the air. The delicious, but overpowering, smell of freshly cured cannabis is just the terpenes. Some filter systems work well for eliminating smoke, thanks to years working for tobacco smokers. Others are beneficial for removing odors, like weed, from your grow room.Do a little research, maybe even talk to an HVAC specialist, before buying the wrong purifier for your needs. Should you Invest in a High-Quality Air Purifier? What’s the extent of your problem? A little lingering weed smoke or a full-blown indoor grow operation? You’ll undoubtedly need to shell out more money for commercial grade equipment. If you want to make sure your house smells good enough to have family over, you should be fine with a standard air purifier. The technologically advanced designs, including the UV light versions, usually cost much more than a basic model. These days, even HEPA filtration devices have come down in price, and are just as affordable. So long as you invest in a high-quality filter, the air purifier doesn’t need to be that expensive. Each piece targets slightly different impurities. The HEPA is the standard for all cannabis operations and targets the general contaminants floating around in a grow room. Activated carbon then pulls out the strong odors from the air as the plants mature. Finally, UVC light purifiers draw all the harmful pathogens into its core, for destruction. If you are serious about a healthy, and odor free, grow room, you’ll spend that little extra to get all three options. How Much does an Air Purifier Cost? The best selling online air purifiers for at home use should cost between $50 and $200. The higher-end options, will, of course, come with more features, and maybe less maintenance. Again, you'll be paying more for anything beyond the basic or HEPA style filters. This is also true of the filters. Filters, need regular replacement, especially if you are running the purifier full time. Filters run from $10 to $100, depending on size, style, and brand. Buying in advance, and in bulk, can come in handy. Considering not everyone is an HVAC specialist, it's not surprising there are many misconceptions about how air purifiers work. First, they aren’t going to solve your allergies.Yes, they might make them better, but air purifiers aren’t perfect, especially the ones designed for residential use. HEPA filters remove odor is another common myth. For a long time everyone toted the benefits of HEPA filtration, but today there are much more advanced means of reducing odors than a simple HEPA. Many homeowners also believe that because the air purifiers filter dust out of the air, they’ll never have to dust again. We are sad to report; you’ll still have to dust. Finally, unless you have a UV light purifier, most will not remove harmful bacteria and viruses from the air. There is no one-size-fits-all instruction manual for air purifier maintenance, but we can make some basic presumptions. While you might want to “set it and forget it," air purifiers do need a little bit of upkeep if you want them to keep doing an outstanding job. First, most will need a regular maintenance schedule.Usually, this means doing a quick clean and double check on the filter. Most manuals suggest once a week, but you’ll need to review the details for your specific model. Activated carbon filters, HEPA filters, and the more basic filter designs all also require replacements. The filters get clogged with particulate, or the activated carbon becomes used up.Electrostatic filters, on the other hand, do not need replacing, they need cleaning. UV lights will need minimal upkeep, but may eventually burn out and require replacing. How hard you work your purifier, how large the room is, how dirty the air is, and more - will all influence how much maintenance your machine requires. Trouble in paradise?Often, you can troubleshoot and repair common issues with an air purifier with a bit of Googling. Popping, buzzing, or other strange noises. By going through a detailed checklist, including checking the socket it is plugged into, the filter, and the capacity of the filter compared to the room, you should be able to narrow down the issue. Look up the brand online; most air purifiers have a helpful page of tips on how to fix minor issues. When in doubt, always give it a good cleaning. Here is an excellent example of the basic cleaning procedures for a home purifier. The steps can be easily adapted to most other household designs. How to Reduce the Smell of Weed Without an Air Purifier? Maybe an air purifier is a bit of overkill for your situation. Do you need to spend a hundred or more dollars, if you only hit the bong on the weekend? There are a hundred and one ways to reduce the smell of smoke, all without an air purifier. These options might not make the air any cleaner, but they make it smell better. Clean your glassware, pipes, and ashtrays thoroughly. Start vaping weed instead of smoking it. Use a room deodorizer, designed to capture smoke and odor in a gel-like substance. Use incense to mask the smell. Use a jail toker, which is essentially a manual air purifier. Buy an essential oil diffuser. What makes this a 3-in-1 is that the GermGuardian purifies the air in a three-step filtration process. HEPA Filter - Stands for High-Efficiency Particulate Air, known for trapping larger numbers of small particles. To legally be considered a HEPA filter, it must filter particles up to .3 microns wide. Carbon Filter - Through the use of activated charcoal carbon particles, acts as a deodorizer by neutralizing molecules that cause foul smells. UV-C Filter - Designated the most dangerous of UV rays to living creatures, luckily the earth blocks all transmission of UV-C rays. Unlucky for pot smoke, air purifiers pull in odorous air and let the UV-C rays kill the foul-smelling molecules. As weed-stenched air enters the back of the purifier, the odorous air hits the carbon filter. Carbon kills off large particles (such as the odors) before filtering the air yet again, this time through the HEPA filter. Here finer particles like dust and pollen are destroyed. Lastly, the UV-C filter uses light to kill bacteria and germs. 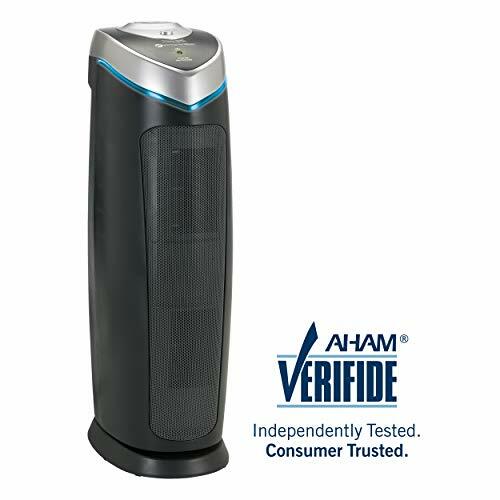 All-in-all, the GermGuardian AC4825 has proven effective, covering up to 155 square feet. It’s one major downside is its size. This air purifier has quite a bit of bulk to it, standing at 22 inches. 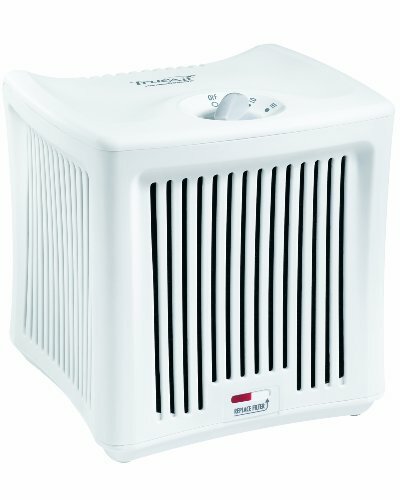 So, if you’re looking for GermGuardian quality but need a smaller version, try the GermGuardian AC4100 instead. But, without a doubt, we feel the AC4100 is the best air purifier for weed. 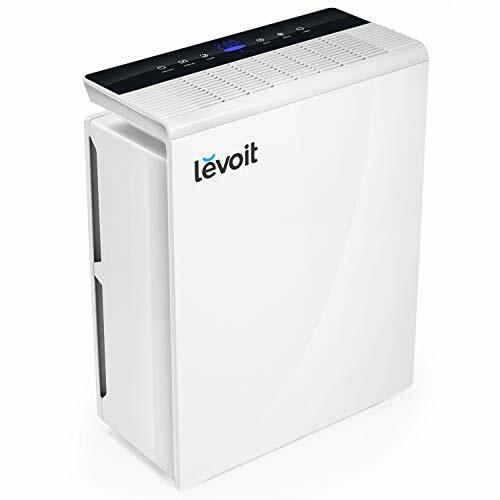 If you need an air purifier that covers more square footage than the GermGuardian AC4825, try the Leviot LV PUR 131 on for size. The Leviot LV PUR 131 covers up to 322 square feet. While the Leviot boasts to be a three-part filtering system, they count the prefilter as a step before hitting the carbon and HEPA filter. However, there is no UV-C or any other form of ultraviolet rays inside of the mechanism. One of the most convenient features of the Leviot LV PUR 131 is its timer. You can choose anywhere from 1 to 12 hours to let your air purifier run. It also allows you to check the quality of your air with a simple glance. When everything is going great, and the light indicator is blue, then the machine is completely silent. Consequently, as it reaches red-colored levels, the machine becomes extremely noisy, as the fans work harder to provide clean air. However, when the air becomes purified, those loud noises will cease. 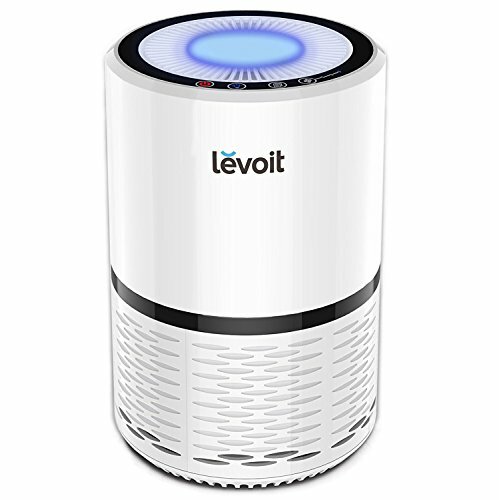 While the Levoit LV PUR 131 was great for having a customizable timer up to 12 hours, the INTEY HEPA Air Purifier allows for five different time settings over an 8 hour period. 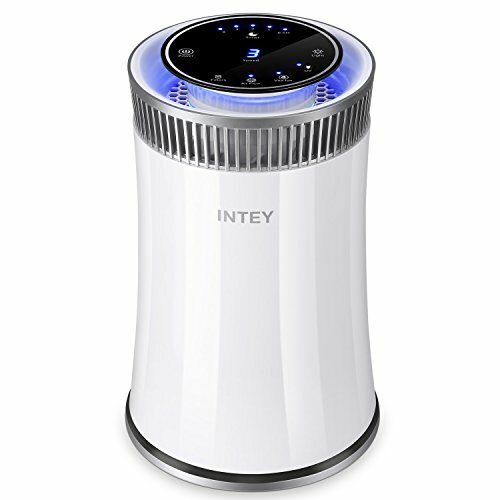 With that being said, regarding portability, the INTEY takes the cake for air purifiers. This little contraption can sit just as snug on top of your desk as it would in the corner of the basement. Although the INTEY promotes the fact that it has a HEPA filter in its name, this air purifier also contains activated charcoal as well as UV lighting. So, it works in the same manner as the GermGuardian AC4825. While you don't have to change the air filter for six months, the fact of the matter is that one day you WILL need to change it. INTEY makes that a little tricky. While you can readily purchase an INTEY HEPA Air Purifier at any major online retailer, the filters are not as widely available. As of right now, you must contact INTEY directly to get a replacement filter. This is an ideal purifier if the quarters you are looking to clean up are small as this has a range adequate to purify a ten by ten room. The Hamilton Beach True Air is only 8 inches tall, so you can discreetly keep it anywhere. While the other air purifiers on this list have many speed settings for fans, there are only two speeds for this one. It also doesn’t do as intricate of job neutralizing odor molecules as well as the others because it is strictly an activated charcoal carbon filter. With that being said, this doesn’t make the Hamilton Beach True Air any less effective for a small area. That’s because this little purifier packs three carbon filters inside. It pulls in air from all directions, making it a useful tool for hiding your cannabis odors. Like the other Levoit on this list, these brands of air purifiers are undoubtedly the most stylish on the list. They both have a very modern look that would fit in on an end table in any living room or the corner of any office. This Levoit has much fewer bells and whistles than the LV PUR 131. For one, there is no timer. You must turn the Levoit LV-H132 on when you want to start purifying and shut it off when you're ready for it to stop. Like the LV PUR 131, this air purifier comes equipped with carbon, HEPA, and UV-C filtration. However, it only has three fan settings (low, medium, high). Be warned, when this bad boy is on high, it can be loud. Speaking of the buttons, they are very sensitive. Any little brush against them can activate another setting. So, if you are sleeping in the middle of the night and your cat brushes up against the Levoit LV-H132, you might hear a thunderous noise that comes from the high setting to wake you a time or two! 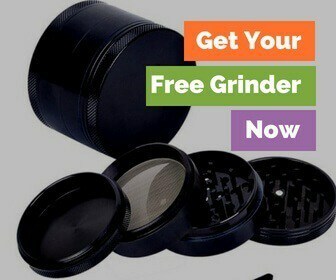 When you are looking to buy the best air purifier for weed, you need to think about what YOU need. You don't want to pay for a larger one then you need. Look at the square footage of the house/room that you smoke in and go from there. Also, make sure to get one that is quiet and will do a good job removing the smell of smoke!